Dealing with animation channels can involve a lot of clicking and sorting to find the channel you want to work on. In SCRATCH there is a super fast way to get to the desired animation channel with just one click. 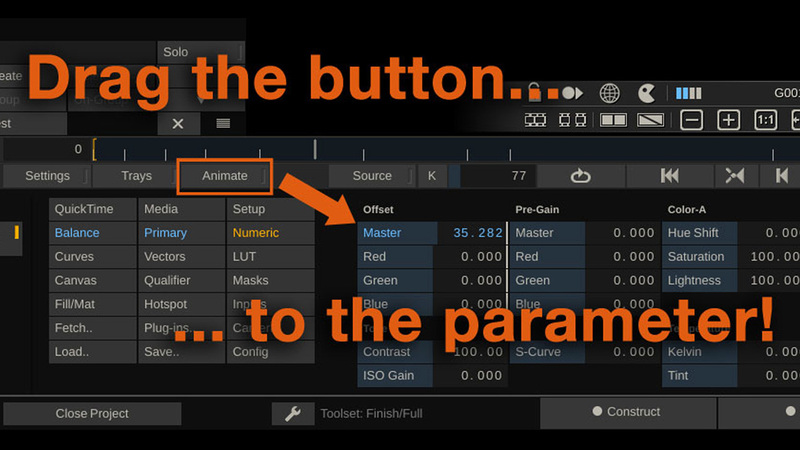 Simply drag the ‘Animate’-button onto the parameter that you want to work on and the animation editor will pop up with just that channel displayed!